Most people are confused over going to private or government gynaecologists and hospitals for delivery and I hope this post will clear all your confusion. It is just nice that my friend happens to go through the subsidized route so I can take a look at her bill. The shocking thing is the difference in price. But let's not get ahead of ourselves. Let's define the term private vs government first. Government gynaecologists are those situated in government hospitals, such as NUH, KKH and SGH. There are other government hospitals but these are the only ones for child birth. To get subsidised rates by the government, you have to stay in these hospitals under Ward B2 (6 bedder) and Ward C (8 bedder). If you intend to stay in better wards in government hospitals, there is no subsidies and your rates are similar but slightly cheaper to private hospitals. 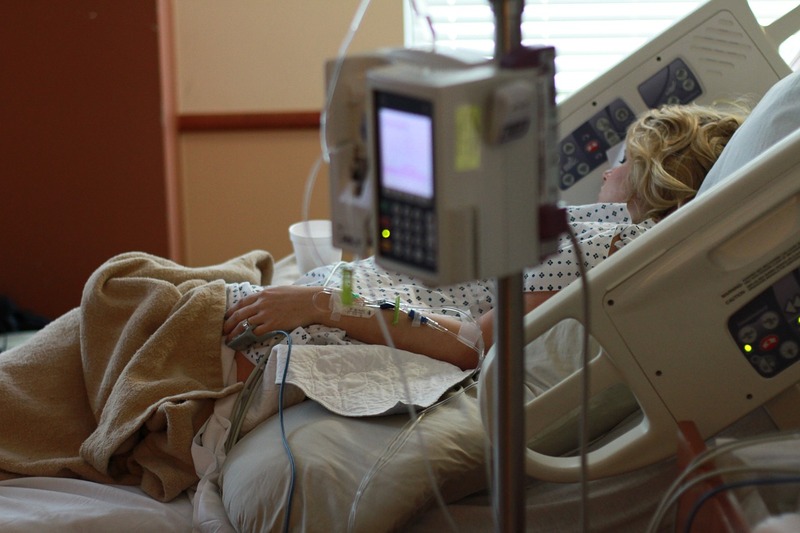 Take note that not all the private hospitals have Ward B1 (4 bedder) or Ward A (2 bedder). Only Parkway East Hospital and Thomson Medical has Ward B1 (4 bedders) while Mount Elizabeth Orchard and Novena only has single beds. This is important in choosing the delivery hospitals in case you want a cheaper ward. If you have a specific gynaecologist that has a clinic situated in the hospital, you will have to deliver in that particular hospital. Even if you go government hospital but if you request to have a fixed gynaecologist, you are classified under private rates. Some key differences between private/government (1 to 4 bedders) and government (subsidised - 6 to 8 bedders) rates. I think the main difference not just on the price, it is about the waiting time. Granted, you can take MC whenever you go for a check-up but to spend half your day waiting is just not for me. For my case, I went to Singapore's Women Clinic, a private gynaecologist located in neighbourhood area. As the gynaecologist is privately managed, he will not be able to deliver at any government hospitals too. I can only choose between TMC, Mt Alvernia, Mt Elizabeth and Raffles. 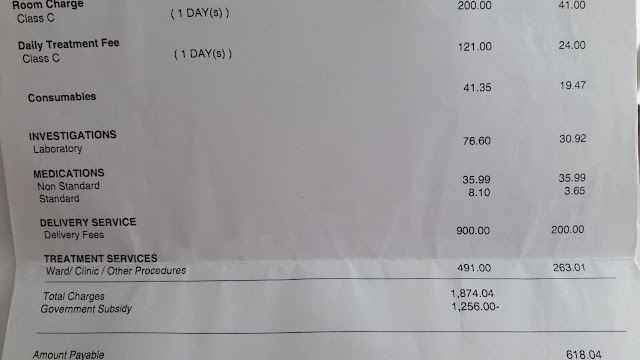 After all the Medisave deductibles, she paid only $618 for a night, without epidural and inclusive of pediatrician's charges, around $900+. She is also lucky because there were only 1 other occupied bed in her 8 bedder Ward C on the night she stayed. 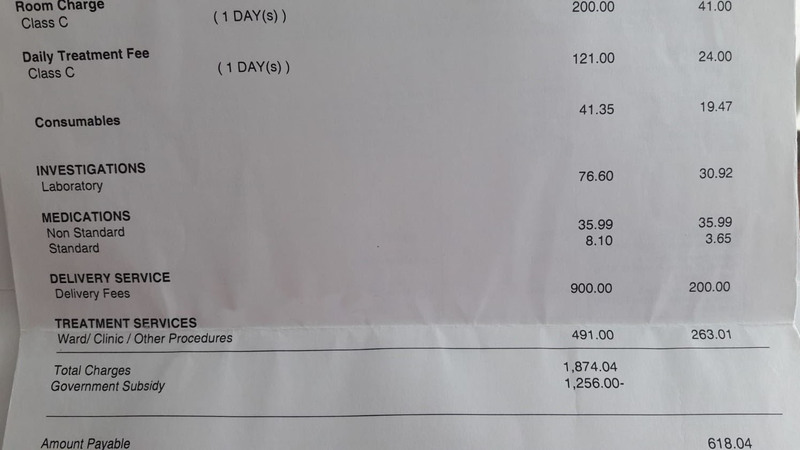 Her baby has to be warded in NICU but the fees are tagged to her ward and it is heavily subsidised too. Comparing it with my bill at Mount Alvernia (1- bedder) at $4,500, that's like a 5 fold difference. Granted for private hospitals, their maternity package is at least 2 nights but the price difference makes my jaw drop. If a baby has to stay in Neonatal ICU (NICU), the difference will be even more significant. We have Crazy Rich Asians but our government also helps us out if we cannot afford it. Looking at the subsidised bill here, I think money is really not the biggest issue when deciding if one wants kids. One can always go through the subsidised route to give birth. I think that you are missing the point here. The cost of having a baby is not during that stage of delivery, but the cost of raising a child. There are baby bonus given to us for the first 2 years. Tax rebates, exemptions, subsidies and grants one can apply if one can't afford it. This post is talking about how to save money during delivery, I have other posts to save money throughout the journey of raising the child, like which are the cheapest diapers and formula. I am sure every bit helps!